Eastern US population: 0.02% chance of dying from a tsunami. 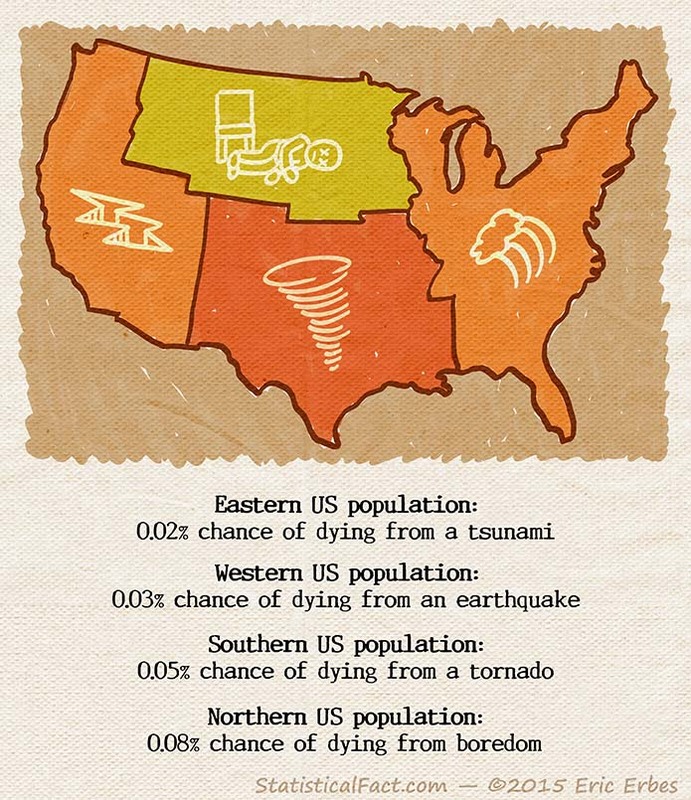 Western US population: 0.03% chance of dying from an earthquake. Southern US population: 0.05% chance of dying from a tornado. Northern US population: 0.08% chance of dying from boredom.